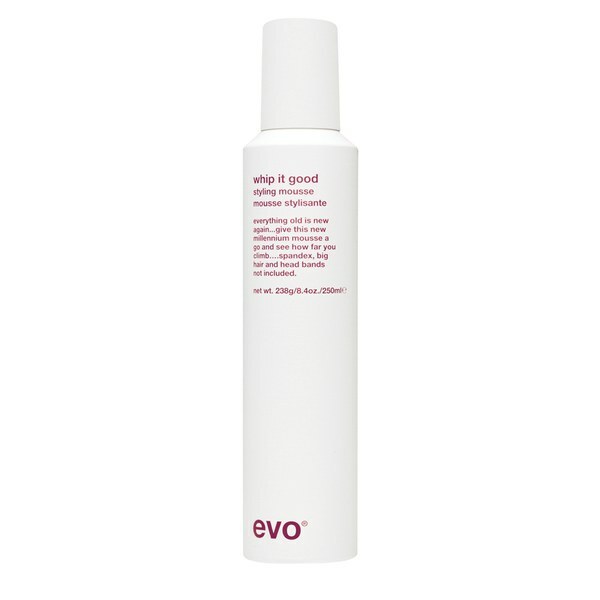 Tame frizz and flyaways with the Evo 'Whip it Good' Styling Mousse, a lightweight foam to condition, control and hydrate hair for a salon style finish. Suitable for all hair types, including curly or unruly, the rich mousse adds definition, shape and texture to lack-lustre locks, revealing a voluminous, lifted look from the roots. Delivers heat protection to prevent damage caused by styling tools, whilst its humidity resistance minimises frizz to leave hair smooth, calm and manageable. Can be used on damp or dry hair. E.N. Apply evenly throughout towel-dried hair. Style as desired. Suitable for use on dry hair.